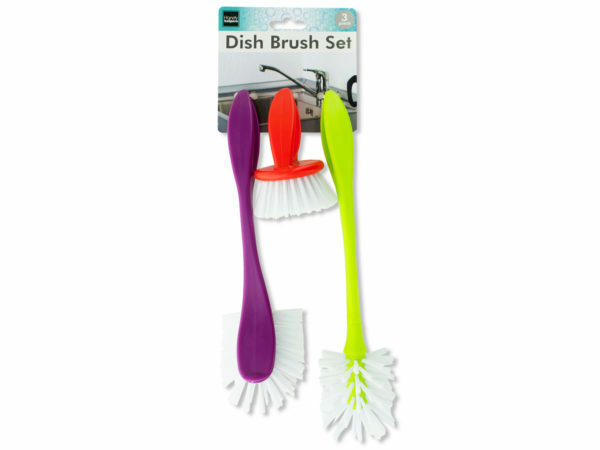 Perfect for thoroughly cleaning all types of dishes, this 3-piece Dish Scrub Brush Set features brush heads in assorted shapes with durable bristles and angled handles for comfortable use. Handles have hanging holes for easy storage. Brushes measure approximately 4.25", 11" and 11.75" long. Comes packaged to a hanging panel.